We invite you to participate in an initiative to maintain and drive up the funds received by the school through Pupil Premium. If your child is eligible for a Free School Meal then the school gets extra funding through the Pupil Premium. 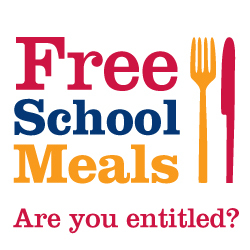 To simplify the process by which you can check for free school meals eligibility the link above will take you to a web site which provides an immediate response to your application and also notifies the school of eligibility, allowing the school to make arrangements for meal provision and pupil premium. If you have any questions please do not hesitate to ask Zohra Bounouar or Kim Edwards. Thank you for supporting our pupils and our school. Previous post Winter Performances 2017 Next post Grange goes for Gold!